National Aluminium Company Limited alias NALCO is a Navratna CPSE under Ministry of Mines. It was established on 7th January 1981 in the Public Sector, with its registered office in Bhubaneswar. Formerly called National Thermal Power Corporation Limited, NTPC Limited is an Indian Public Sector Undertaking engaged in the generation of electricity and related activities. Indian Oil, a soul of the modern day India is an integrated energy major with its presence in almost all the streams of oil, gas, petrochemicals and alternative energy sources. Bhushan Power & Steel Limited (BPSL) is a leading manufacturer of flat and long products with value-added products covering entire steel value chain right from Coal Mining to manufacturing Pig Iron, DRI, Billets, HR Coils, CR Coils, GP/GC Sheets, Precision Tubes, Black Pipe/GI Pipe, Cable Tapes, Tor Steel, Carbon and Special Alloy Steel Wire Rods and Rounds in accordance to IS and international standards. Essar Steel is a fully integrated flat carbon steel manufacturer with manufacturing facility comprising ore beneficiation, pellet making, iron making, steel making, and downstream facilities. GMR Kamalanga Energy Ltd is an operational coal-based power plant located in Kamalanga Village, Dhenkanal district, Orissa with ISO 9001, ISO 14001 and OHSAS 18001 certifications from SPS. 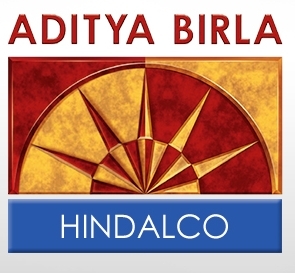 Hindalco Industries Limited, a metals flagship company of the Aditya Birla Group, is the world's largest aluminium rolling company and among the biggest producers of primary aluminium in Asia. IMFA is India's largest, fully integrated producer of ferro alloys unique for the quality perspective due to its comprehensive ISO 9001 Quality Management certification, ISO 14001 Environment Management, and ISO 18001 Occupational Health & Safety certification.